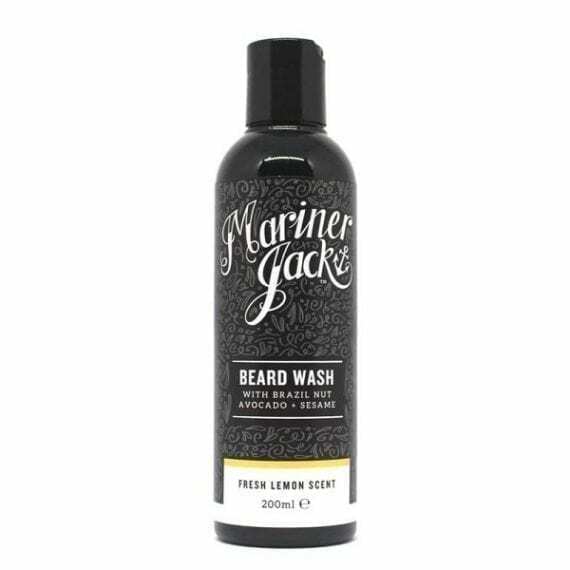 Mariner Jack Beard Wash is gentle enough for daily use and infused with nutrient rich, non greasy natural nut oils to quickly hydrate the beard and sensitive skin underneath. Scented with lemon essential oil, it will leave your beard feeling clean and fresh. Sulfate, SLS, SLES and paraben free. Ingredients: Aqua, Decyl glucoside, Decyl glucoside, Xanthan gum, Sodium chloride, Sodium chloride, Phenoxyethanol, Citrus limon peel oil, Aloe barbadensis leaf juice powder, Citric acid, Sesamum indicum seed oil, Bertholletia excelsa seed oil, Bertholletia excelsa seed oil, d-Limonene, Linalool. WARNING: CONTAINS NUT OILS.